Canada goose goslings at Ridgefield NWR. April 2018. Click for a better view. Photo credit: Cascade Creative Services. Happy Monday! I had a fabulous quick jaunt to Ridgefield NWR last week. The winter birds have mostly gone, and the refuge is alive with migrants newly arrived from down south and year-round residents already nesting. If you live near a National Wildlife Refuge site that accommodates visitors, I highly recommend that you take advantage. 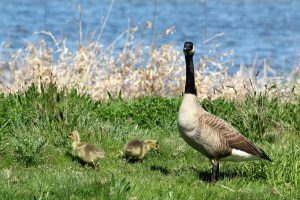 It’s free or very low cost (I buy a yearly pass for Ridgefield for $15/year), and refuges are great places to observe local wildlife. TESS Satellite launch update: the TESS satellite launched successfully. The spacecraft is currently completing a series of maneuvers that will place it in its final “science orbit” in June 2018. 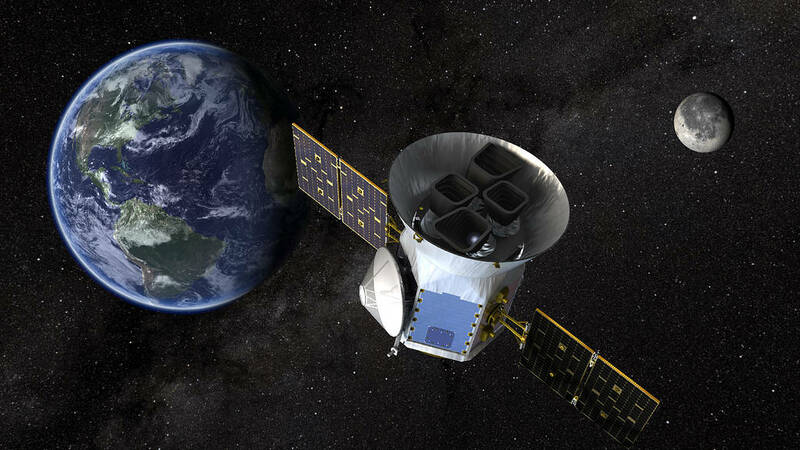 TESS is a new “planet hunting” satellite that will help researchers survey over 85% of the sky. For more details about the TESS mission, click here. More space news—while researching a recent book, I came across the GAIA mission operated by the European Space Agency. This ambitious mission is working to create a three-dimensional map of our galaxy that will reveal information about 1 billion stars. Yes, that’s billion with a “b.” The second data release from this mission is set for this Wednesday, April 25. To follow the GAIA mission, click here. Back on Earth, Okeanos Explorer broadcasts live feeds of its ROV Deep Discoverer (remotely operated vehicle) dives, providing live commentary along the way about mission science and species identification. They plan daily live feeds April 12-May 2 from 8am-5pm Central Time. It’s a great vicarious exploration opportunity. I completed UNDERNEATH IT ALL, by Amber J. Keyser. 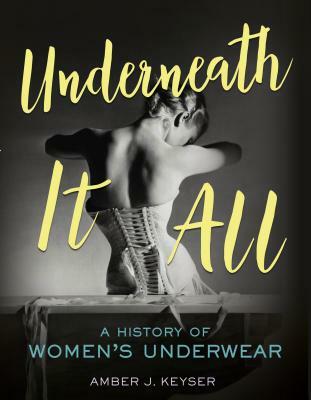 It’s an interesting read about the history of women’s underwear that is at the same time fun and sobering. Keyser doesn’t shy away from discussing how undergarments are closely tied to control over women’s bodies and/or women trying to reach the “ideal” shape, but the book never gets so heavy that I wanted to stop reading. I highly recommend it. Click to view this book at IndiBound. Photo credit: IndieBound. 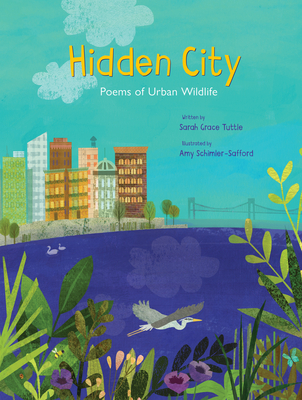 My “work” read for the week is the beautiful HIDDEN CITY: POEMS OF URBAN WILDLIFE, written by Sarah Grace Tuttle and illustrated by Amy Schimler-Safford. I’m also still working my way through the second BEYONDERS book. Stay tuned. A note about photos: All photos attributed to Cascade Creative Services are mine and may be reused under Creative Commons License Attribution–NonCommercial–ShareAlike, which means you are free to reuse and remix my photos for noncommercial purposes as long as you credit the source and license any work that features my photos under the same license. 24 HOURS IN A SALT MARSH Out Today! Click to view book at Cavendish Square. Image credit: Cavendish Square. 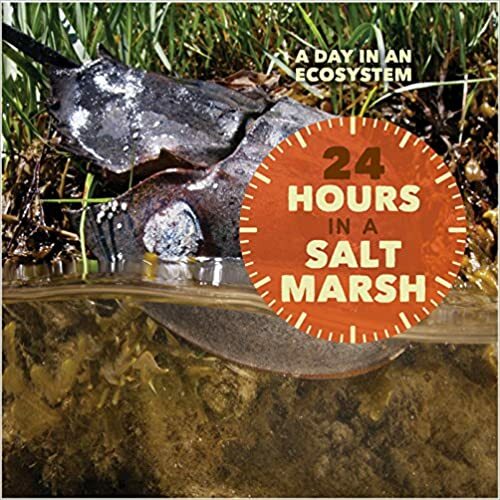 My book 24 HOURS IN A SALT MARSH comes out today! Click on the photo to view the book at the publisher’s website. Shout out to Netarts Bay Today and the Lower Nehalem Community Trust for helping me research plants and animals specific to Oregon Coast salt marshes. Click to view book at IndieBound. Image credit: IndieBound. Evaluating the work of authors we love is one way to improve our own writing. 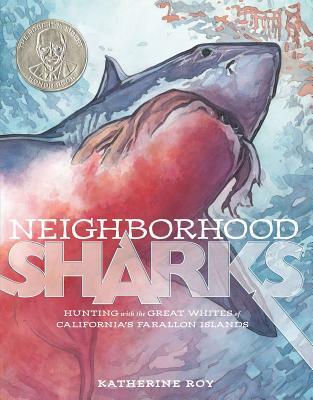 Today I’m looking at Neighborhood Sharks, by Katherine Roy, and examining how the author crafted a compelling beginning. The first sentence of Neighborhood Sharks, “every September, the great white sharks return to San Francisco,” successfully sets up the rest of the book, prompting the reader to wonder where the sharks are returning from and why they are traveling to that particular spot. As the first lines unfold, Roy slowly builds tension. She uses our natural unease about great whites to wind us up, but she also uses language. Not only does she build a word picture of sharks stalking their prey, she uses the sound of language to great effect. The sharks “circle” and “stalk,” they are “silent” and they “STRIKE!” The repeated “s” sound help the sharks seem scary and sinister. Now Roy doesn’t just leave us here. The book goes on to take the reader on a journey from fear to fascination to sympathy. But her first lines are a master class on how to create a great beginning. I suggest you buy or check out a copy of Neighborhood Sharks and really look at the first few pages. Compare it to your own work and see what you can learn. Does the entire rest of the story spring from the first line? When editing, I often see first lines that don’t really have much to do with the rest of the book. Think about the end of the book. Now imagine winding the entire story back up like a ball of yarn. If you get back to the beginning and those first lines don’t logically tie into everything else on your ball of yarn, especially the end, then you need to think about reworking them. What is the emotional journey the book will take the reader on? Are you establishing the beginning emotion early on? How is the language you choose adding to the intended emotional starting point?